Since inception, LeoVegas Casino has sought to cement its place among reputable and reliable online gaming outfits in the United Kingdom and the world over. With top-notch payment methods, bonus offers and customer support it is no longer surprising that players are very comfortable staking their cash at LeoVegas. LeoVegas Casino takes customer comfortably as a strong priority and to ensure that this policy is well conveyed, a robust customer service team was put together to operate on a 24/7 basis. Apart from the usual email and Live Chat media, there is also a toll-free number available to only United Kingdom players. Many customers have testified that the response time from the Live Chat option is usually within a minute even during peak hours. Another wonderful part of their Live Chat option is the little noise that plays out when a customer service rep responds to your queries. This is particularly awesome because with most Live Chats you will not know when there is a rep available to chat with you but at Leo Vegas, you can continue to enjoy your favorite game until when you get a response. Before withdrawal, it is mandatory for players to submit a valid identification document such as driver’s license or an international passport. This process is usually required for the initial payout and doesn’t necessarily affect subsequent withdrawals except there is a peculiar need. Currently, when a withdrawal request is made, an email containing information and instructions pertaining to the payout is sent to the player. 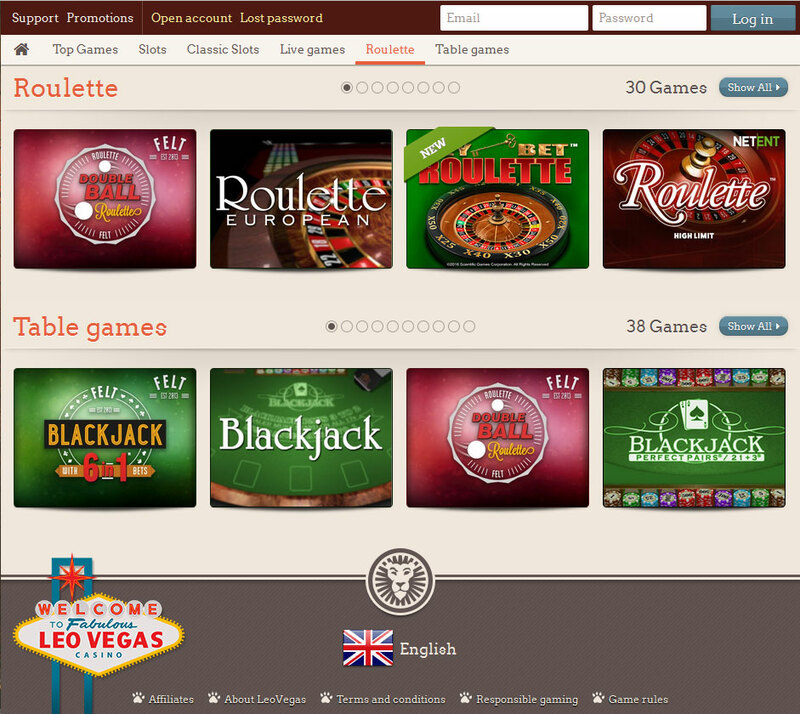 LeoVegas Casino boasts of some of the most diverse and accommodating payment methods in the United Kingdom. There is an e-wallet platform that affords the use of MoneyBookers/Skrill, NETeller, PaySafeCard and iDeal. Bank wire, Debit and Credit cards powered by both MasterCard and Visa are also allowed. To withdraw your earnings there are nine options most of which have been mentioned earlier that are available to you. As per industry standard, you are only able to withdraw with the same payment method you deposited with. Payout times at LeoVegas Casino are very similar to happy hour at most pubs. Withdrawal requests are processed within 24 hours once your proof of ID has been verified. The Documents are usually verified with the shortest period of time and in the worst case scenario in not more than one day. The minimum deposit and payout is set at 10 GBP without any hidden charges from the gaming establishment. It would be nice if they added PayPal to their payment options though especially when the popularity of the payment platform within the United Kingdom is considered. However, on a general note, the casino is doing considerably well with regards to financial transactions. 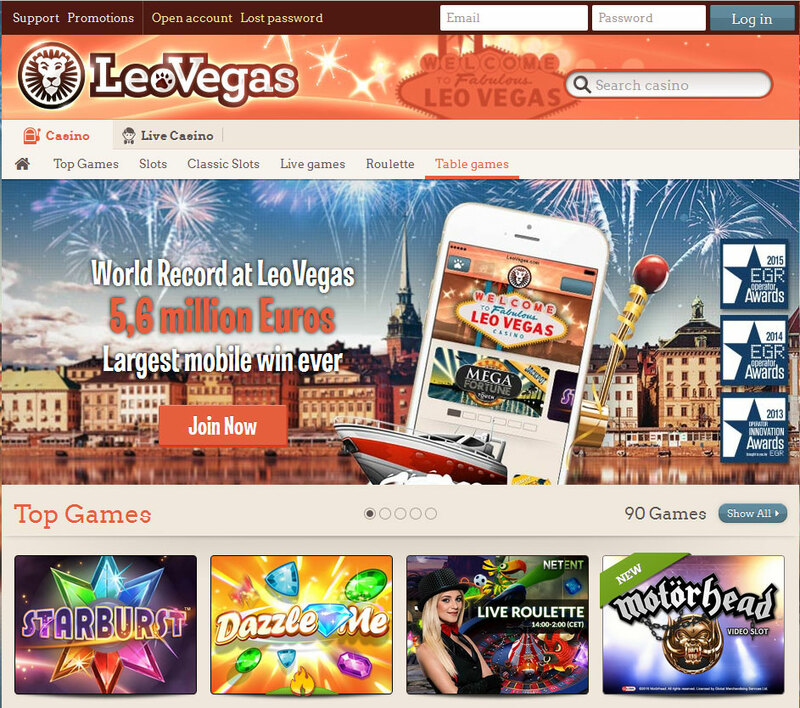 LeoVegas Casino doesn’t have a downloadable casino client which translates to the fact that all their slots games can be enjoyed directly from your PC browser. Popular casino games like the roulette and blackjack in all their versions are available as well as video poker. In moving with industry tide Leo Vegas casino concentrates more on slots games with over 300 of such from developers like Net Entertainment, IGT, Betsoft, Play ‘N’ Go and also NextGen. Net Entertainment brings on board very intriguing slots offers which include Piggy Riches and Gonzo’s Quest. There are also themed slots games like EggoMatic and Creature from the Black Lagoon. For players looking to make good winnings, Starburst especially using the Starburst Wilds feature is highly recommended. NextGen and Play ‘N’ Go has in its package 300 Shields and Medusa while Play ‘N’ Go provides Riches from Ra although this game is more of an adaptation of the book Ra Deluxe but it offers huge earnings when you use the free spins feature. The recent addition of IGT slots implies that players can now enjoy classics like Cleopatra and Wolf Run, Davinci Diamonds, Cats, Kitty Glitter and Siberian Storm all of which offers tremendous wins using the bonus features. 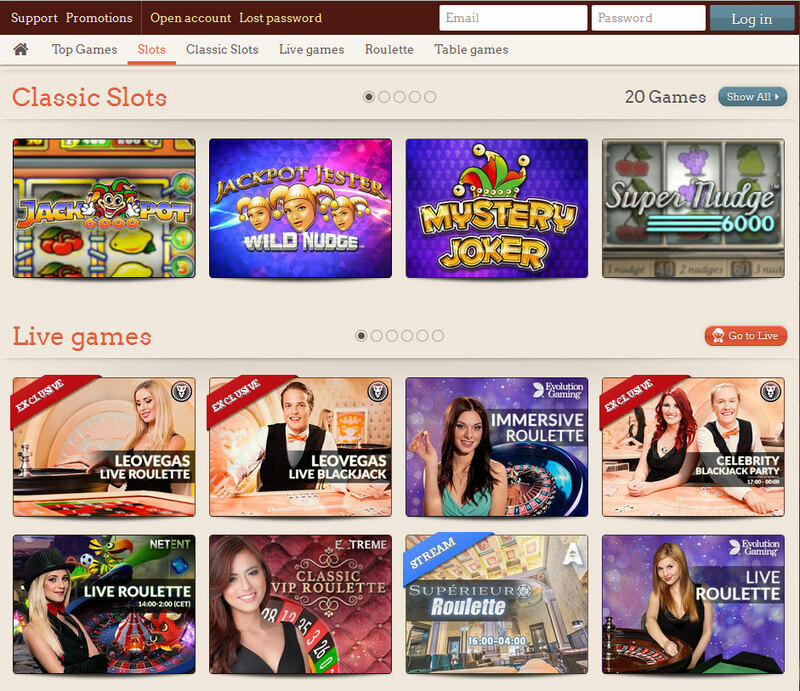 For the jackpot hunters, it’s time to settle for games from Net Entertainment. The famous Mega Fortune which is known to have paid the biggest online jackpot at 17.8 million Euros and also the Hall of Gods which has doled out several millions in earnings are two of the games to look out for. Bonus packages at LeoVegas isn’t bad with a 50 no deposit spins available for about 5 NetEnt slot games and also a 200% bonus to the 100 GBP limit on initial deposits. Deposits from 10 GBP to 50 GBP also get a 200% match bonus free. 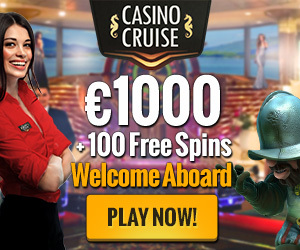 Apart from the bonuses already offered on initial deposits there is also a 50 spins on Twin Spin, Football: Champions Cup, Mega Fortune Dreams, Jack and the Beanstalk and Starburst. Other special bonuses include a 12% offer to the 500 GBP limit, 100% to the 500 GBP limit and 50% to the 400 GBP limit. Each of these deposits comes with 50 additional spins which if combined is about 1500 GBP and 250 free spins. As usual, all deposit bonuses come with wagering requirements hanging on their necks. Slots obviously contribute 100% to the wagering and to cash out the earnings, a 35x play through requirement is mandatory. After registering for an account, players can click on the Balance link at the top of the page to display the Bonus part where information on the wagering requirement is revealed.